SWOT Analysis stands for Strengths, weaknesses, opportunities and strengths analysis. Thus, SWOT Analysis is done to know about the immune system of the business enterprise or the project and also helps in making out a strategy so that the project or the business does not fall vulnerable to it. A SWOT Analysis figures out the various factors be it internal or external which have effect on the working of the business. It prepares the business against any contingency. S: S stands for Strength. It means the advantages the business or the project has in relation to the inner and external environment. W: W stands for Weaknesses. These are the internal lacking of the business or project. O: O stands for Opportunities. This means the various chances the project or the business has to use it for its benefits. T: T stands for Threats. This means the various outside forces which can pose a problem to the working of the business or the project. 1. Internal Factors: Strengths and Weaknesses are regarded as the internal factors. It’s the internal policies of the business that affect its working. These could be: 4 P’s, Finance, and Staff etc. These are related with the microeconomic factors. 2. External Factors: Opportunities and Threats are regarded as the external factors. The outer forces either impose a threat or beings along an opportunity for the business or the project. These could be: Expanding opportunities, change in Government Policies, and change in statute. These are related with macroeconomic factors. Want to know more about the Factors? Visit assignmenthelp.net now. 1. Strategy Building: The SWOT Analysis can be used for strategizing the future plans before hand. The information about the weaknesses and threats is previously figured out which gives the management a cover to mitigate the chances of loss by planning out the escape strategy. 2. Matching and Converting: The SWOT Analysis gives the management a chance to match the strengths with the opportunities so that they can be converted into achievements. When is the SWOT Analysis used? Explore new solutions to problems. Explore new opportunities for the business. Direct the management for the achievement of the goals. Remove hindrances in the achievement of the objective. To check if the planning done is appropriate and goal- oriented. Thus a SWOT Analysis gives a deep insight into the project and business. It is a very crucial factor in the planning out of marketing strategies of businesses. How is SWOT Analysis used? The SWOT Analysis method works in a systematic way starting from the environmental analysis of all the fields whether it be internal or external. Then it further analyzes the opportunities and strategies that could be available to enhance the working of the project or save it from any external threats. After doing the analysis, a SWOT Matrix is prepared to draw out the results and conclusions are drawn by preparing the strategies. 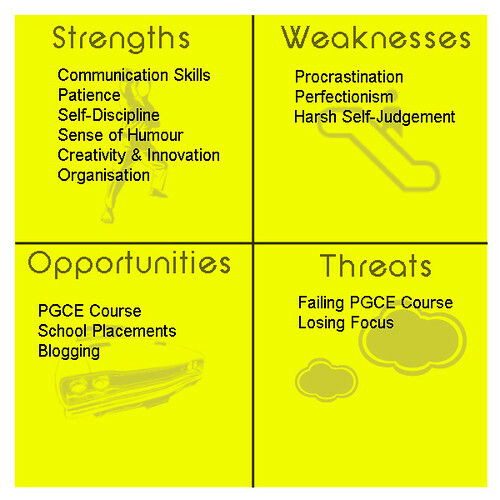 The SWOT Analysis can be confusing in the practical applicability. We respect the idea that you can’t afford to lose marks. So just leave this work upon us. We will do your assignment so that you can concentrate on other core areas of your study. You can visit our site assignmenthelp.net to check out some of our sample assignments available free. If not, you can take classes online from our experienced professional teachers will help you solve your queries. There are many other service providers in the market but our dedication and good work is what differentiates us from others. You will get the best and timely results. We serve you with best facilities. You can contact us anytime and we will be there to help you out. Just submit your assignment at assignmenthelp.net and our service providers will approach you or just switch to online chat and discuss your project and take the best experience home from our facilities.